There are very few of these left in the world. The number might be 20. 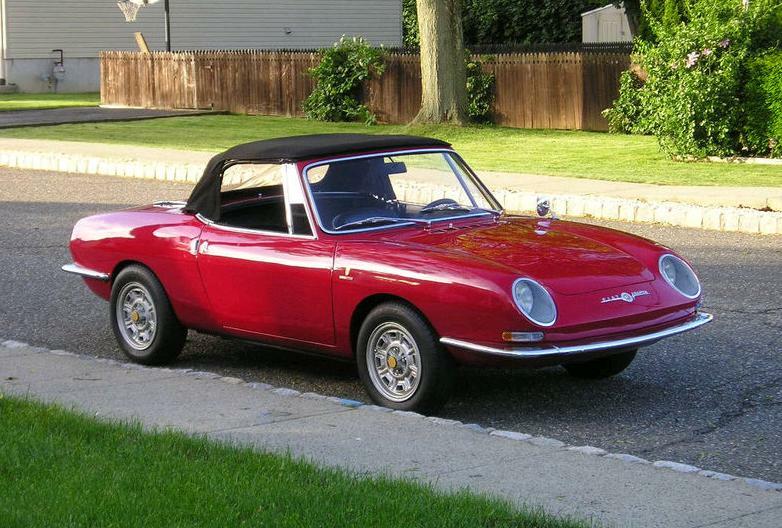 The Fiat 850 Spider was a nice looking car that was fun to drive, but it was a simple car that lacked anything that could be called real power. An 850cc engine, even an high revving Italian 850cc engine, is just not a lot of engine. The Abarth 1000 OT went a long way towards taking care of that problem. Besides getting an "Abarthized" engine and exhaust, the 1000 OT featured a number of trim and accessory pieces not found on the 850. The car is said to run, but the engine smokes and has a noisy water pump. The body is where this car shines, literally and figuratively. The Fiat 850 on which this car is based is notorious for rust. This car has had the body done over, including a new floor pan. The seller says the body has a "few scratches" and there are a "few tiny spots where the paint is bubbling". The latter should be attended to right away. It comes with a hardtop that is in need of restoration. The $17,000.00 dollar asking price is realistic. (Back in June 2010, Bring a Trailer featured a 1000 OT basket case with an asking price of $15,000.00) Figure on putting many more thousands of dollars into it to make it perfect, but when you're done you'll have a very rare, very fun to drive Italian roadster. Located in Wharton, NJ, click here to see the eBay listing for this car. Interesting. I know my Fiats and I have driven a genuine 850 OTS 1000 (coupe) worth over $30k. IMO, this car is a fake. 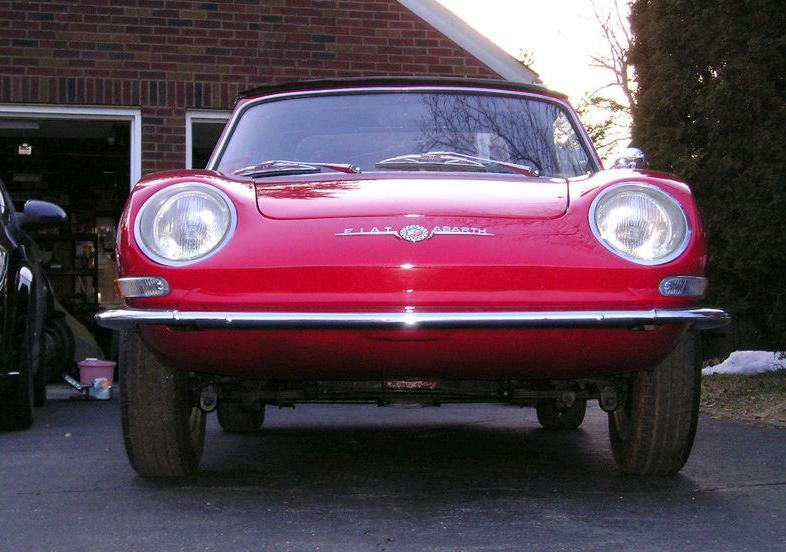 There is no evidence that this was actually an Abarth sold car like the OTS. I see nothing listed in my Abarth books documenting this car. 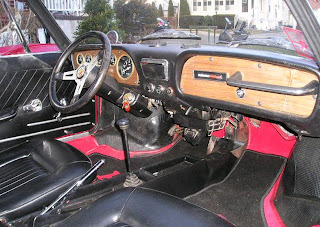 Back in the day, people would commonly put abarth badges and accessories in their car (such as that abarth sump, steering wheel, etc), so don't let that fool you. 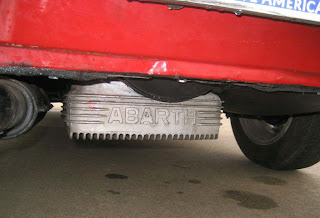 Abarth was not fond of convertibles back then bacause they were not serious race cars. Besides, the seller says things like "I have been told the wipers don't work, but I have not confirmed that". This seller is a real piece of work, I wouldn't trust anything he says based on the description. This is nothing more than a decent 67 850 convertible worth about $6000.